A few months ago, there was a blatantly unethical action taken by social media giant YouTube. When YouTube and their parent company, Alphabet Inc., chose to delete a number of channels outside of any written standard they have ever expressed, they may have very well committed a crime against those who depended upon their various channels for income. Following these actions, many users suspected that YouTube—in similar ways to the corporate media—was deliberately attempting to silence narratives which disagreed with the standard corporate media script. It was not long afterward that evidence revealed this exact same motive. This unethical standard of YouTube still appears to be in effect. No legal consequence, inquiry, or legal action of any kind appears to have been made against these supposed crimes of YouTube. With this in mind, the question becomes, "If the people truly feel as though they have been wronged, where is the opposition?" Where is the unified, legal opposition which typically comes with these types of blanket violations of ethical practice? In years past, when the people were wronged by any corporate entity, there was at least some level of direct opposition. This opposition went far beyond the short-lived and allegedly astroturf protests which were paraded across MSM news (conveniently within just one news cycle). However, when it comes to provably authentic movements and ethical concerns, those who claim wrong-doing of any kind rarely offer any opposition thereto. It seems clear that the claims of social media giants that their acts of information control of intended for the good of the people are nothing more than politically motivated thought control. These media companies have basically made it impossible to disagree with corporate media narratives, claiming that every idea which opposes MSM narratives equates to dangerous conspiracy theories and/or fake news. Throughout history and in present day, the skill of critical thinking has always been dangerous to fascist rule. In fact, many believe the true reason why the YouTubes, Facebooks, and Twitters of the internet are so controlling at present is because they are no different from the fascists of the past. The unethical corporations we face appear to be the new norm. 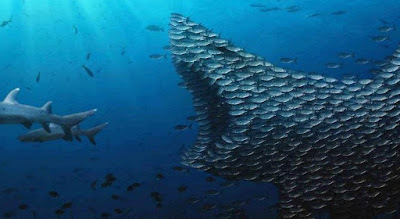 However, this does not mean that the situation has to remain this way. There are plenty of ways to fight censorship and ensure that the rights of ethical and free-thinking people are no longer infringed upon. One of these ways is within platforms based on blockchain technology. As some may know, blockchain is based upon the concept of fault tolerance. That is, information on the blockchain is stored by distributing its fragments throughout multiple locations online. Here is a excerpt from Blockgeeks.com which explains the benefits of the the blockchain in greater detail. Bitcoin has been called “digital gold,” and for a good reason. To date, the total value of the currency is close to $9 billion US. And blockchains can make other types of digital value. 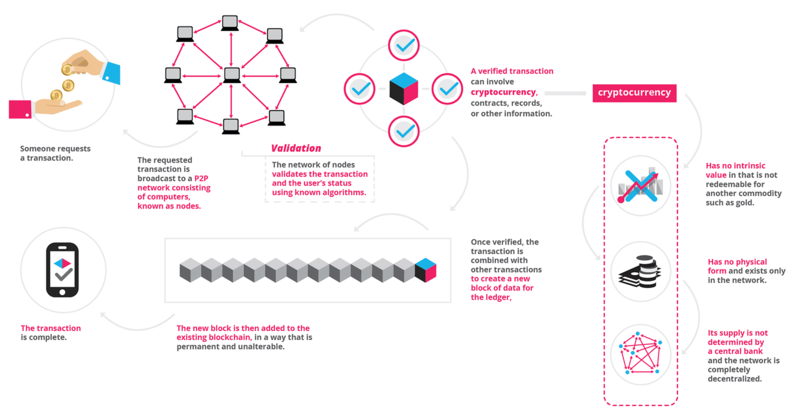 Like the internet (or your car), you don’t need to know how the blockchain works to use it. However, having a basic knowledge of this new technology shows why it’s considered revolutionary. So, we hope you enjoy this, what is Blockchain guide. When we consider these details, we may realize that blockchain technology is more-or-less censorship-proof in that there is no way to delete information completely from storage. This means that social media platforms which use bloackchain technology will be unable to censor their content in the same way which YouTube appears to. This would largely prevent any future attempts at thought control by fascist platforms from succeeding. There are numerous other options which can help us to transcend the low levels to which certain social media giants have stooped. One example comes in the form of a website created by an avid activist in societal change. This website actually provides a way to ensure that YouTube links remain permanently active. Here is an excerpt from the website YTKeeper.com. Keep your YouTube links working forever by replacing “youtube.com” or “youtu.be” with “ytkeeper.com” in your links and our systems will monitor and make sure your link will be able to redirect to a working video, whether embedded or used as a standalone link, with the restored version hosted on YouTube or elsewhere depending on the situation. This is not very different from a link shortening service like Bit.ly, goo.gl, or t.co since the ytkeeper.com links will simply direct to the original YouTube link by default. Our systems will monitor the videos though to see if they go down, and if they do, we may be able to redirect the link or even upload our backup of the video to another service like BitChute based on the nature of the content. Cases of outright censorship will take priority, but we will at least be able to also show more information about the video that went down when we detect that it did. We will probably have a backup of your video, but for legal reasons we will not specify which videos we actually do have backups of, we want to stay within the law. The YT Keeper website is a newly developed platform which was born out of the public unrest following the recent YouTube mass censorship attempts following the Parkland, FL shooting. After YouTube was shown to be politically compromised and unethical in their practices, it became clear that a more reliable alternative was needed. The option to back up entire videos and even entire channels from YouTube would do wonders for free-thinking truthers and their efforts to spread objective, uncensored, and ethical content to viewers. This leads us to our main point of interest. That is, the need for legal action as well as overall education about the true possibilities of the power of legal help. Most people do not understand much about law, and this appears to be by design. The depth and complexity of law, combined with the vast variety and overly complex terminology used therein make it either too difficult or too intimidating for the average person to learn. This excessive complexity may have originally been included to ensure that the general public did not know their own power and would thus remain subservient to those who controlled the information by placing it behind effluent universities and expensive degrees. Due to this apparent control of information, most people only begin to learn about legal matters when the law is being used against them. If this is the case, law is largely useless until we begin to learn about it and take advantage of it. One of the first things we learn about true law is that it goes both ways. Just as much as the system attempts to use it against us, we have every ability to use it against the system (ideally speaking, that is). Whenever large corporations believe they are wronged in some way, they do not simply complain on social media. They call their lawyer and threaten to take thousands of dollars from their offender and then both parties compete for legal superiority in court. Those who have the best legal knowledge and assistance typically win. We might look at this situation and believe that because we do not have billions of dollars in the bank that we can't have legal service. However, there are options which can help. One of these options is a class action lawsuit. To gain a better understanding of these group lawsuits, here is Findlaw.com with an official description of the concept of class action. A "class action" lawsuit is one in which a group of people with the same or similar injuries caused by the same product or action sue the defendant as a group. Other names for lawsuits brought by a number of people who suffered similar harm or losses are "mass tort litigation" and "multi-district litigation" ("MDL"). People seek justice in class action lawsuits when their injuries have been caused by defective products, including pharmaceutical drugs, motor vehicles and other consumer products, and medical devices. Other types of conduct over which people have sued as a class include consumer fraud, corporate misconduct, securities fraud, and employment practices. 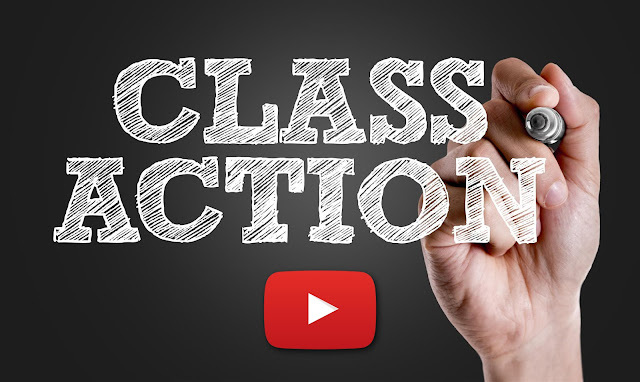 A type of class action lawsuit is the "mass tort" action. Mass tort litigation is a multi-party lawsuit based on a massive accident, such as an airplane crash, in which many people are injured or widespread personal injuries caused by a defective product, such as a medical device. If you have been injured by a product or person and you think there are others in your situation, you should seek legal counsel from an attorney who is experienced in representing classes of injured people in this specific type of lawsuit. From this description, it definitely appears that those who suffered damages due to YouTube's choice to delete their channels have a valid case on their hands. However, we may do well to seek professional perspectives in the matter, as stated above. We may consider ourselves extremely fortunate to be alive during the age of information. It stands to reason that we presently have more information at our fingertips than ever before in the history of the world. However, even with all of the information we have, it seems we still lack the initiative to effectively take action when crimes are committed against us. Perhaps the excessive amount of information we have available to us has caused us to become apathetic to the situations we face in the real world. The ability to see virtually anything we desire to see at the click of a button holds quite a bit of appeal. However, this appeal seems to be part of the problem. Whenever we see injustice taking place, instead of taking action to right the blatant ethical wrongs, there is always the temptation to do nothing. It is much easier to simply press a different button or click on another link to make the problem go away, or at least appear to. Every time we choose to do nothing about the ills we see in society, we may only harm the situation further. In ignorance, problems do not disappear. They only grow. Perhaps the appeal of information is the cause of apathy. Maybe the reason why past generations were so active in societal change because they did not have a virtual fantasy to escape to when things went bad. All our predecessors had was real life, and so they made their real world the best it could be. Perhaps the reason why we see the process of disclosure and prosecution of government and corporate criminals going so slowly is because we have not done much to encourage them. We complain on social media, but in reality, that does not equate to much. At the end of the day, all of our complaining only equates to bits on the wire just like everything else online. However, true societal change requires physical, tangible, positive and constructive real world action. The bottom line is that social and societal change do not happen on their own. They require us to initiate them. Foreign manipulators may try to mimic them with millions of dollars and lots of paid patsies, but these astroturfed protests do not mean anything. The only true movement rests in the hands of the people. Large corporations do not care that they hurt your feelings, your livelihood, or your education. They have no reason to. The only opposition they understand is a threat to their own bottom line, i.e., dollar signs. Consequently, in order to be heard, this is what must be made. The major reason why most people do not attempt to consult legal advice is because they believe they cannot afford the fees. This can be a deterrent. However, there are ways around the cost of legal service. For an individual who is interested in learning more about the law, there is the option of a prepaid legal service. Granted, not all of these services are created equal, but if you are looking for a place to receive legal advice at an extreme discount or even free of charge, many of these services do offer the option. Of course, those of us who have friends within the legal profession have an additional advantage, granted these individuals are familiar with matters of social media. However, whether or not we personally know a legal professional is largely irrelevant. 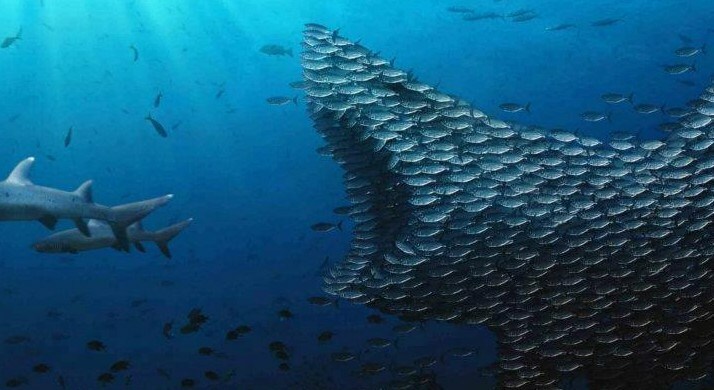 As we know, the best way to succeed is to pool our resources and work together in order to oppose oppression. Among all of those who have been wronged by YouTube, it seems reasonable to assume that at least one of them is connected with a legal professional, and if this is the case, all of them have the ability to receive at least a portion of the legal advice about the issues of their case. If one person has the ability to call their state representative and to demand that social media giants like YouTube and Facebook be regulated, why can't the rest? Moreover, why can't all of us? The point is that when resources are pooled together, there is a greater chance of success, but until then, unethical social media companies have no reason to worry about you. They may continue to do as they please because their millions in financial security gives them greater access to the advantages of the legal system than anyone of those they oppress, that is, until we figure out what our ancestors knew about working as a team.